This post is targeted towards GATE preparation strategy in the final few months of preparation like now only 4 months are left for GATE-2015. GATE is one of the toughest exams in the world at the graduate level. The paper, consisting of difficult questions requiring arduous efforts to solve combined with a very less number of seats in M.Tech and PSUs make it one of the most competitive exams all over the country. Thus, it becomes very important to apply your efforts in the right direction and work hard along the correct course and therefore, the aspirants need to focus on both, adequate practice and smart planning to achieve their goal. The gravity of the question posed is often not realized by the students. Some might consider planning to be very time consuming and wasteful, but they fail to perceive the advantages it has in the long term and the amount of confidence it instills in the individual. Planned study is more likely to help in an exam like GATE, where the questions are unconventional and are based more on applications of concepts rather than rote learning. Therefore, planning the type of questions to be done is required to cover the variations and develop ability to handle the surprises. Successful execution of the plan also increases the confidence level and gives the student a psychological advantage as compared to others. The study plan should be made keeping in mind the time allotted to each topic, no. of questions to be attempted and personal capacity. The goals set should be realistic, but not too easy and outside interference in planning is not advisable as nobody knows a person better than himself. 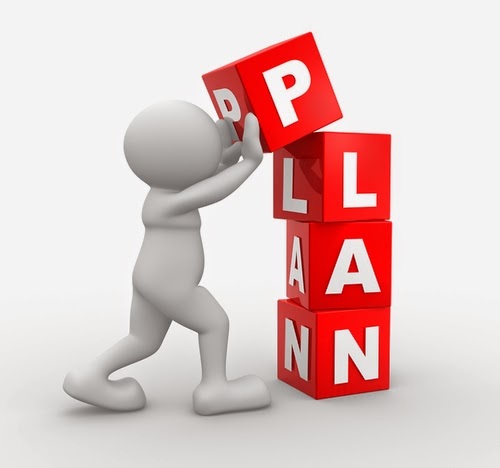 Although some of the arguments highlighting the importance of planning are already mentioned, it is an undeniable fact that the significance of planning cannot be emphasized enough. It also becomes very essential as the current pattern of GATE requires intensive planning on the part of students. How to make a Study Plan? Calculate the time left for the exam like now 4-5 months are left and you need to cover entire course in such a short time so it is better that you set deadlines for yourself. This will help you keep a track of your progress through the preparation and will also increase your confidence. As per me, out of these 4-5 months you should set aside 30-45 days for Mock Tests/Full Tests because test series is the most important part of the preparation which many students don’t realize. Calculate the time left after deducting the time for test series and then decide the number of days devoted for each subject based on the number of topics in each subject. Like in case of Electrical Engineering you can devote more time to subjects like Power Systems and Electrical Machines and lesser time to subjects like Signals and Systems and then you should decide time in each day by keeping separate slots for entertainment and reading so that you are not distracted during study hours and your efficiency will be maximized. You should focus more on problem solving than the theory concepts and also set a target for a number of questions that you need to solve each day. Also, share this post in your group so that fellow GATE Aspirants can also benefit. How to utilize the summer vacations?